in 5 simple steps as described below. Its a funny Flashing Green Text in CMD created just for fun of peoples. Basically its a Small Batch file that making text in it flashing really fast. Just follow the below simple steps to do it yourself. Steps to make Flashing window with green text. Step 3: Save it by Clicking on File and then Save or simply by command ctrl+s. and See the Magic. It will look like the above image. If you like this Flashing green text in CMD (Command Prompt) trick then share it with your friends and amaze them with this trick. 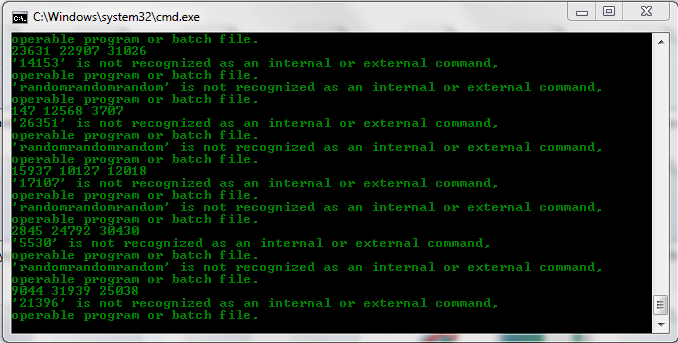 This is simple batch file which is combination of several command prompt commands and run at one click. It’s a simple notepad trick which anyone can do. Keep visiting our site for more new tips and tricks. Follow us on social media for instant updates on latest latest windows tricks, notepad tricks, command prompt tricks and much more.